Abbey Carpet Inc. is a privately owned company having it's headquarter at Bonita Springs. They were established in 1938 and comprise of more than eight hundred showrooms across the country. They are expert to provide every type of carpet installation and even vinyl flooring service. They even cultivate a tradition of extremely popular and superior craftsmanship regarding carpeting and flooring the building of the region. Abbey Carpet is truly dedicated to offer expert service regarding attractive flooring of houses. They even have a long history of providing extreme customer satisfaction. Each store of Abbey is particular about their unique selection of carpeting and flooring materials, meeting customer taste and quality service regarding installation procedure. 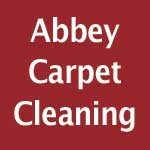 There are currently 0 consumer reviews about Abbey Carpet available. Share your review. Please take a note that you are about to post a public review about Abbey Carpet corporate office on CorporateOffice.com. This review will be public, so please do not post any of your personal information on this website. If you would like to contact the corporate offices of Abbey Carpet, please use their contact information such as their phone number, website, and address listed above to contact them. However, sometimes staff from Abbey Carpet headquarters do read the reviews on this website.